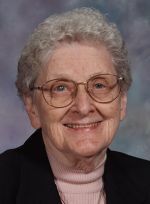 Sister Irma Francis Godsil, O.S.F. Sister Irma Francis Godsil, O.S.F., died Jan. 22 in Assisi House, Aston, at age 92. She had been a professed member of the Sisters of St. Francis of Philadelphia for 74 years. Sister Irma Francis was born in Boherbue, County Cork, Ireland. She entered the congregation in 1937 and professed her first vows in 1940. She earned a B.S. in education from Mount St. Mary University in Emmitsburg, Md., in 1956. She ministered primarily in elementary education and, after her retirement, in pastoral ministry. Sister Irma Francis served for 54 years in the Archdiocese of Baltimore and served in schools in Oklahoma, North Carolina, South Carolina and Florida. In 2006 she moved to Aston and ministered as a volunteer in Assisi House. In 2010 she became a resident of Assisi House where she served in prayer ministry until her death. The funeral Mass was celebrated Jan. 29 in Assisi House followed by burial in Our Lady of Angels Cemetery in Aston. Sister Irma Francis is survived by nephews and cousins, and her Franciscan family. Donations in her name can be made to the Sisters of St. Francis Foundation, 609 S. Convent Road, Aston, PA 19014.